Cookeville, Tn. – December 6, 2017 – Regional health care centers are teaming up to better prevent hospital readmissions. The new effort rises out of increasing instances of sepsis and hospital readmissions in local patients from health care centers. The collaboration is a partnership between CRMC, Signature HealthCARE of Putnam County, Signature HealthCARE of Fentress County, Signature HealthCARE of Pickett County, Standing Stone Care and Rehabilitation Center, and the Upper Cumberland Transitions Coalition. 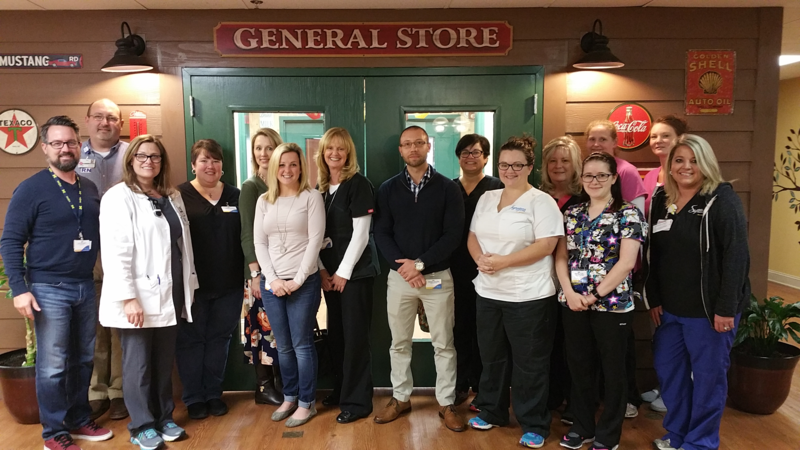 At a recent collaborative meeting between the five partners held at Signature HealthCARE of Putnam County, the team set their sights on decreasing the re-admission rates and identifying sepsis in its early stages. Sepsis is the number one reason for a patient’s readmission to the hospital in the state of Tennessee. CRMC and Signature HealthCARE have initiated sepsis screening at select facilities to better reduce hospital readmissions. “I am excited to see such great work on identifying and treating patients with sepsis with an effort to identify early, and hopefully treat at the nursing home, and that in turn will decrease re-admissions. This is better for the patients, and they are our number one priority,” Angela Craig, Clinical Nurse Specialist at Cookeville Regional Medical Center, said. The health care partnership hopes to deliver recommendations and expand the screening process during the 2018 year.